The company has been trading since 1973 and is now in its third generation of the founding Wheeler family. We have 3 nurseries covering 27 acres and a 40 acre wetland and fishery site in Surrey. 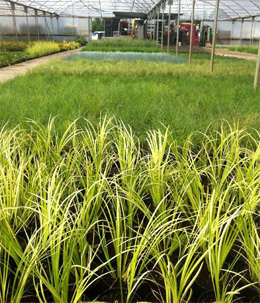 We also have 7000 square metres of intensive propagation facilities and a dedicated and experienced nursery team. 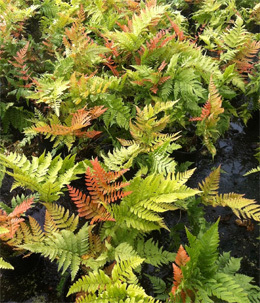 We currently supply over 700 Garden Centres, Nurseries, Landscape designers & Professional Gardeners all over the UK. We also have a waterlily farm in Kent which enables us to produce large quantities of high quality waterlilies. We produce and grow over 5 million plants a year including the largest selection of aquatic plants available in the UK. We have grown aquatic plants since the company started 40 years ago. Beaver offers around 170 marginal plants, 40 waterlilies, deep water plants, oxygenators, floating plants and associated dry goods and display tables. Seven years ago we started selling grasses, perennials and a range of contemporary and unusual garden plants under our ‘Lifestyle Plants’ brand. 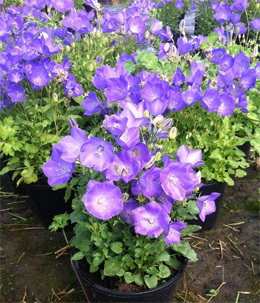 They proved very popular and today we offer over 300 varieties across 11 collections. For more information see each collection on the left of this page under the garden plants heading. This year we have added many plants to our garden plants range including the Tesselaar range of Storm Agapanthus and Tropicanna. Beaver also specialises in producing all of its own labels and point of sale with an in-house picture library of over 5000 images.